You can be in London at 10 o'clock and in New York at 10 o'clock. I have never found another way of being in two places at once. Looking for a fantastic way to entertain your guests with an after dinner aviation speaker? What better way than to rediscover the grace and glamour of this fantastic aircraft with Concorde - The Legend. How fast, far and high did Concorde fly? Where did the name Concorde come from? Why was Concorde retired? How much did Concorde cost? Will one ever fly again? These are just some of the questions Phil will answer on perhaps the most beautiful aircraft ever to grace the skies. 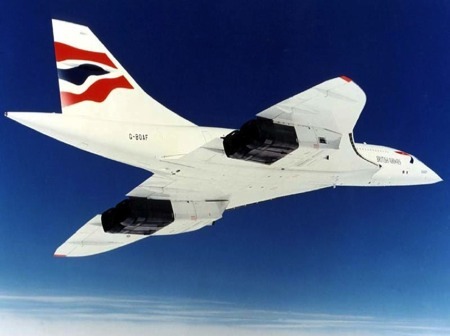 First flown in 1969, Concorde entered service in 1976 and continued commercial flights for 27 years. Among other destinations, Concorde flew regular transatlantic flights at record speeds, in less than half the time of other airliners. The grace, beauty and romance is rekindled as Phil recalls the celebrities, the humour, the engineering and involves you in the Concorde experience!